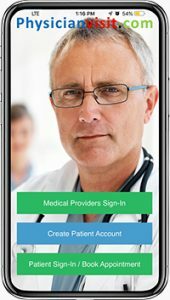 HIPAA compliant telemedicine for video calls, secure messaging and document sharing, remote monitoring of health related data, and the establishing of a private, cloud-based patient controlled Electronic Health Record (EHR) where demographic and healthcare related information is always at your fingertips! for an account to begin using the service for a very cost effective monthly subscription fee. for an account with Physicianvisit.com and download the app for free from the Google play or Apple store. with easy access to video, scheduling, messages, and health info exchange. either in office, through televideo call, or through secure messaging, resulting in higher patient satisfaction, a better overall patient/provider experience and a more complete opportunity to deliver quality care. 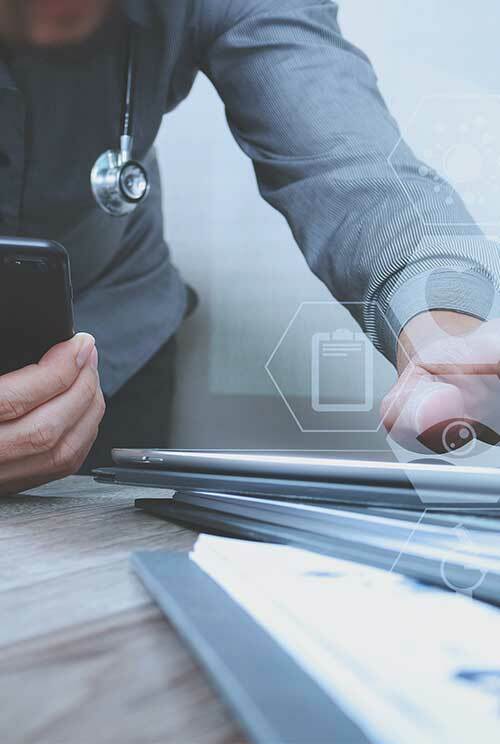 that provides your patients a private, secure, cloud based platform for their vital health and demographic information, prescription and follow up instructions, and other information that supports the delivery of care.